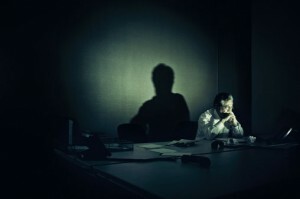 Workplace depression or stress is a recent concern of employers across the globe. Prolonged stress at work decreases overall productivity and performance of employees. In US alone 1 million people miss work each day due to workplace stress. Can employers and HR alone deal with the situation? What can be done to identity and help someone dealing with workplace depression? Today’s post is contributed by our guest blogger KenaShree to highlight how similar cases go unnoticed around us and how we can help. It was late in the evening some days ago when I received a call from a local hospital informing that a family friend had been admitted to its Intensive Care Unit in a frayed mental condition, perhaps in a failed suicide attempt. This ‘friend’ was rather my husband’s colleague. A happy-go-lucky guy on the face of it who had joined us in a common official party just a weekend ago at the financial-year end celebrations. Nothing then seemed unusual, obvious or even slightly dispiriting? I wondered what led him to this fearful fate so suddenly. Casual, Common. Easily Cope. All of us go through…. ?I stopped to think for a moment. Hell, NO! It isn’t as casual as we think it is? The scariest proposition about coping with any depression is not accepting it as a disorder per se. To be treating it as some ‘bad phase’ that will either pass by with time or with non-serious suggestions from friends and colleagues or with silly non-technical meditating exercises or with popping in sleeping pills or even with some neighborhood aunt’s homely advices. When the fact is, all this make the disorder worse, often leading to the unexpected last resort – Suicide! The most ironic part of the tragedy is that it is pretty preventable. As a society, we often miss the chance to help those who want to help themselves and instead chide the victim with a societal stigma by singling him out. After all, who would want to be called a ‘mental case’ in office that people will pity, call out names, joke about, sympathize or whose name will likely be pulled down from appraisal sheets and promotion lists? Sadly, depression at work is often lackadaisically overlooked by the sufferer himself, ignored by his so-called educated workfellows and let gone without being treated. My friend’s family confided that in past few months the man who everybody identified as ‘always cheerful’ was emotionally disenchanted with work, upset with office politics, complained about inadequate work systems, avoided making it to social gatherings, stared at a blank computer screen for several minutes and sometimes randomly broke into tears. His ‘to-do’ list in the diary which once looked organized and up to date was now filled with red marks or warning circles. His alcohol consumption increased five times and he’d blow up cigarettes after cigarettes throwing fag circles in the air for several continuous hours. He would not sleep till late night, unsubscribe from whatsapp and facebook groups, failed meeting work deadlines, felt guilty towards the incompetence he was showing in work and do self-shame about facing his boss. No one realized that the darkness of depression was gradually setting its dismal foot in his otherwise comfortable life. He needed psychiatric help badly. NOW! It is very difficult to ascertain what causes depression. Not always it’s the huge pile of unfinished work, hard work environment, politics-power play and the feeling of being treated unfairly the culprits. Factors such as genetic vulnerability, severe life stressors, substances one may be taking (like drugs and alcohol) and medical conditions that can lead to faulty mood regulation in the brain. Everyone is different and it’s often a combination of factors that can lead to a ‘chemical imbalance’ in the brain which relay incongruous messages between brain cells, leading to depression. Does this sound like freaking bad a condition? Well! Millions across the globe are partners-in-trouble to this single problem called workplace depression and are together fighting to get over the evils of this beast. There is no dearth of help if one seeks to find. Pills, prescriptions, meditation techniques, art of living, holiday breaks, picking up a hobby, chunking out the negatives from one’s life and talking it out, you name it and you have it. But here’s the big question. Will my dress fit you perfect? If no, then how will my life’s stress-buster fit yours? So the best is, let’s stop giving or taking random tips and advices from a jamboree of a fish market and help the patient run for the expert who knows what best must be done. KenaShree is a full time working Human Resource professional, speaker and facilitator for over a decade. She is currently a Senior Manager in NTPC Limited, Power Sector, GOI enterprise. 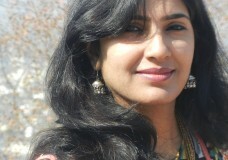 She is also the Co-founder of Manrav Foundation, an NGO working for aged destitute and senior citizens. She has been listed as “Top 100 HR professionals to follow on Twitter” in 2014. Besides the HR expertise that she holds, she is trained in cognitive psychology and psychometric analysis of human behavior. Kena is a prolific writer, devouring blogger and writes for Huffington Post, Cox and Kings and Women’s Web. This apart, she releases herself by immersing in good literature, witty reads, singing and theatre. She may be read at her blog or contacted on linkedin . Her twitter handle is @KenaShree. PRAJAKTA on WhatsApp as Social Recruiting Tool!! You must be kidding!!! Siddharthan on WhatsApp as Social Recruiting Tool!! You must be kidding!!! Kalyan Chakravorthy on WhatsApp as Social Recruiting Tool!! You must be kidding!!! Imran on WhatsApp as Social Recruiting Tool!! You must be kidding!!! Tasneem on WhatsApp as Social Recruiting Tool!! You must be kidding!!! Copyright © 2016 India HR Live. All Rights Reserved.